The first episode of QuPlay's new chat show, Quick Heal Pinch by Arbaaz Khan, dropped last week and featured the diva of Bollywood, Kareena Kapoor Khan. The talented actress spoke unabashedly about how she dealt with incessant criticism especially about her parenting methods and even made a few confessions. The conversation was viral within no time and garnered millions of views. The second episode features one of the most successful men in the industry, who is interestingly a host of one of the popular Bollywood chat shows. 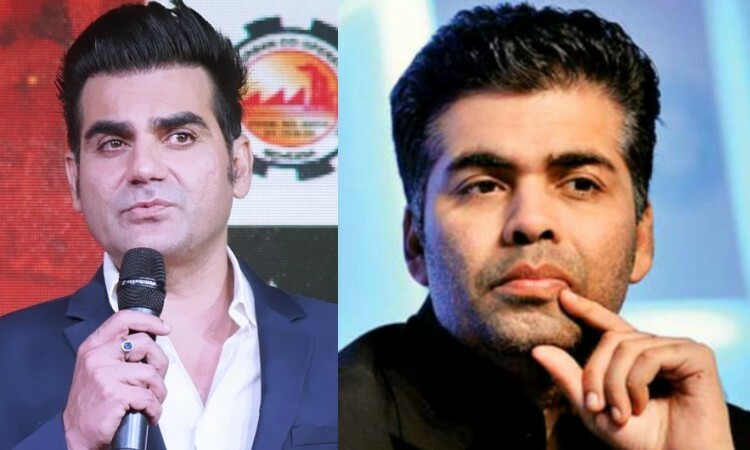 No points for guessing that it was none other than Karan Johar, who had a no holds barred conversation with Arbaaz about dealing with trolls, insensitive remarks, what pinched him the most and some confessions about his social media activity. The filmmaker kicked off the conversation with a statement that is seemingly funny but shows how Johar has become almost immune to snide remarks on social media, and remarked, "Initially when I used to get it (trolling), I used to deal with it by being upset and angry. Then it went into a state of indifference, and now I am in a state of glorious amusement. Every morning I wake up to abuse, and it amuses me." The filmmaker tried to explain the reasons and state of mind of people who said nasty things on social media and why in a way it was a reflection of their own state of mind. But at the same time, he also revealed that there were people who made sense and offered insights which one could really learn from, and how it was all about finding the positive. The host of the show, Arbaaz Khan read out comments about Karan on social media about his sexuality, sartorial choices and even asked about the controversial episode of Johar's chat show. And while being his typical entertaining self, Karan made some very discerning statements on homophobia and how he felt about the backlash faced by Hardik Pandya and KL Rahul. He summed up all questions of his sexuality with some extremely poignant words, "I was born a man, I'm proud to be a man, I have a woman in me, And that makes me more of a man"
And if you think, the episode was all about insightful conversation, Karan Johar made some very spicy confessions about whose Instagram posts he found the most boring, interesting and who he would like to block, unfollow or follow. Other celebrities on the chat show include Kapil Sharma, Sonam Kapoor, Sonakshi Sinha, Nawazuddin Siddiqui, Sunny Leone to name a few.